It's A Dan's World: WATCH EMPIRE STRIKES BACK WITH HAN SOLO HIMSELF! 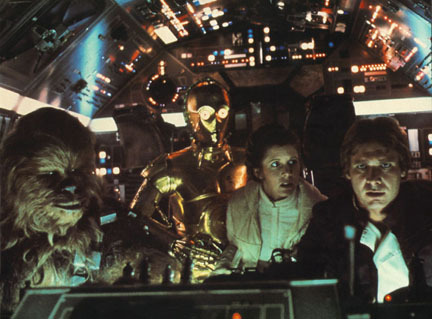 WATCH EMPIRE STRIKES BACK WITH HAN SOLO HIMSELF! 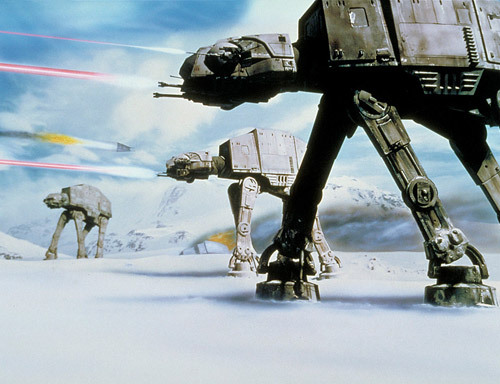 If I had to list my top movie moments of all time, the Empire's giant robot dinosaur Walkers trekking across the icy planet of Hoth in The Empire Strikes Back, would easily be in my top 3. In my younger days it was the combination of all things cool (dinosaurs and robots) that made my head explode, now a few years on (and slightly jaded by modern special FX) I still think 'wow' whenever I pop it in the DVD player. Star Wars didn't just provide interest and inspiration to me though (shocking, but true! ), and now those generations upon generations of people, regardless of whether they be Jedi or Sith can buy tickets to a one-night-only charity screening of The Empire Strikes Back, complete with a live Q&A session with Han Solo himself - Harrison Ford! As part of the movies 30th birthday, tickets to this May 19 event at the Arclight in Hollywood, will sting you $100 for general admission and $175 for priority seating. All proceeds go to St. Jude Children's Research Hospital, so it's a brilliant cause, and you get the added benefit of hearing a star who doesn't really talk on his experiences, yakking about the film where he got deep fried in carbonite! UPDATE: Tickets are already sold out! What a great result - boy that was fast! Nothing against Mr. Ford, but he seems so stiff and uncomfortable in front of people/fans, I'd rather watch ESB with Carrie Fisher--now she's a blast! Still, its a very nice gesture. I hope they do more like this.